We welcome you to reach out to our best-in-class member services team. 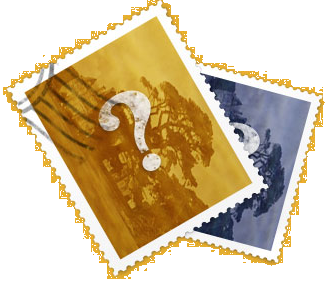 For instant answers we recommend visiting our knowledge base. You can also call us at (866) 313-6311 during business hours. If we don't pick up, please leave a voicemail and we'll return your call promptly. Submit a request: Create a ticket for Member Services. Historically, honor societies played an integral role in the on-campus experience universities. Honor societies have been recognized by universities in the United States for more than two centuries. Today, the primary role of an honor society includes providing academic and professional recognition to high-achieving members and establishing a professional and social network contacts for their members. The scope of our Honor Society extends well beyond the college years to also help develop members professionally. Honor Society (HonorSociety.org) is the preeminent organization dedicated to recognition of its members success and to empowering members to achieve. Honor Society is a great opportunity to maximize your academic and professional potential as well as expand your personal network for future success. What is Honor Society (proper noun)? Honor Society is not your average honors organization. We encourage academic achievement, but also provide opportunities for members to develop leadership skills, positively change their communities, as well as prepare for future endeavors (internship, college grad school, career). Along the way, members make valuable connections with members that can last a lifetime. What does Honor Society do and why should I join? In addition to recognition, networking, career resources, leadership development, and guidance/support relating to social service – members can apply for exclusive scholarships and awards, have access to a variety of career development tools others must pay for, and are often courted by recruiters for major employers. In addition, Honor Society works to get its members discounts and deals on the things they’ll need most, like health and dental insurance, textbooks, and more. Honor Society has one simple and affordable membership plan. The six month membership dues are $60. Investing in an Honor Society membership is one of the best gifts to yourself or a loved one. $60 for a six month membership equals $10 a month, yet the membership provides members like you with access to valuable benefits, and priceless community and networking opportunities. Honor Society is a community that exists first and foremost to help like-minded achievers build relationships with similar goal-oriented people. It may sound like a frivolous pursuit to some, but building a genuine goal-oriented network and meaningful relationships is extremely hard, and that's our main focus for members like you. The dues are also used to license exclusive services at no extra cost to society members, to provide the social networking technology and to fund select scholarship opportunities. Honor Society was founded as a technology and benefit driven society. We partner with exclusive services to provide students the tools to succeed. This includes free career guides, job listings and member discounts. The value of all these resources is close to $1,000 per member if purchased individually, but as an society we are able to negotiate special pricing with such exclusive partners. Honor Society membership is a nationally recognized designation with exclusive privileges valued at much more than membership dues ensuring that members get their money's worth. Membership dues are necessary in order to keep partner licenses active beyond the six month term. How much are the dues to be an Honor Society member? Membership is by invitation only. If you meet the academic, class and ranking requirements, or receive a nomination, you’ll automatically receive an invitation to join. The more you’re involved with Honor Society, the more fulfilling your college experience – and the years beyond it – can be. However, there is no minimum time commitment. Yes. 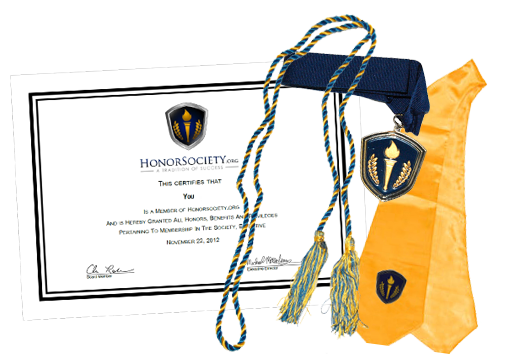 Active members can log in and access our online store where you may order Honor Society honor cords, tassels, certificate frames and much more. Once you activate your Honor Society membership, you are considered a full-fledged member. Certain scholarships and opportunities may have criteria such as GPA requirements in order to apply. Do I need to maintain to any certain criteria, such as a certain GPA, to remain a member? Yes. Our primary function is to add value to your academic and professional career, and if you don't feel we are helping you succeed we will gladly refund you within the first 90 days of your dues payment. Memberships can be canceled and refunded as desired according to our Membership Satisfaction Guarantee. To cancel your current membership and receive a refund, please click here. Note: You will be required to log in again even if you have already logged in. For help or more information, feel free to contact the member services team. Is there a refund policy for membership fee? Inactive members will still have access to their Honor Society profile, however they will no longer have access to member benefits, scholarship opportunities, career tools, and any other such premium services. There is no obligation to continue being a member, and your semiannual dues subscription can be stopped and refunded at any time, per our Membership Satisfaction Guarantee. Simply contact member services and request a stop to future dues payments. It will be processed expediently. What happens if I do not pay future dues? Honor Society is an independent honors organization and benefits society. We partner with exclusive services to provide students the tools to succeed. Honor Society membership is a nationally recognized designation with exclusive privileges valued at much more than membership dues ensuring that members get the most out of their membership. As a national organization, we operate independently and separately from universities and other honor societies. We have established chapters at over 50 universities across the US. Honor Society chapters are officially recognized through their university's student organization department as an on-campus organization. Yes. Once you activate your Honor Society membership you may transfer schools and transfer your account to your new university. You will continue to have access to all of the member benefits, scholarship opportunities, and career tools. Yes. Honor Society is a lifetime network. Once you activate your Honor Society membership there are a number of benefits to keeping your subscription active once you graduate. You will continue to have access to all of the member benefits, scholarship opportunities, and member tools. Also, there are often scholarship programs to fund graduate school, law school or medical school. Career guides and job listings are also available on an ongoing basis. Yes. We encourage you to list your membership on your resume. Honor Society has a nationwide network of partners, including universities, corporations, associations, and nonprofits. Honor Society is well recognized among these and many other companies and institutions. Should I put my Honor Society membership on a resume? Is it something people are going to recognize? Yes. Asking about legitimacy is an important and valid question. When choosing to join a society it is important to choose a recognized organization that provides real benefits. Honor Society was established as a technology and benefit driven society. We partner with exclusive services to provide members the tools to succeed. This includes member trips, leadership courses, career guides, job listings and much more. The value of all these resources is close to $1,000 per member if purchased individually, but as an society we are able to negotiate special pricing with such exclusive partners. Honor Society membership is a nationally recognized designation with exclusive privileges valued at much more than membership dues ensuring that members get their money's worth. Are you a legitimate organization? We welcome you to reach out to our best-in-class member services team. For instant answers we recommend visiting our knowledge base. For prompt turnaround, the member services contact form is the most effective method to reach the member services team. How do I get in touch with someone at Honor Society?